Ingredients: Cream of milk, citric acid as acidity regulator, min. fat 70%. 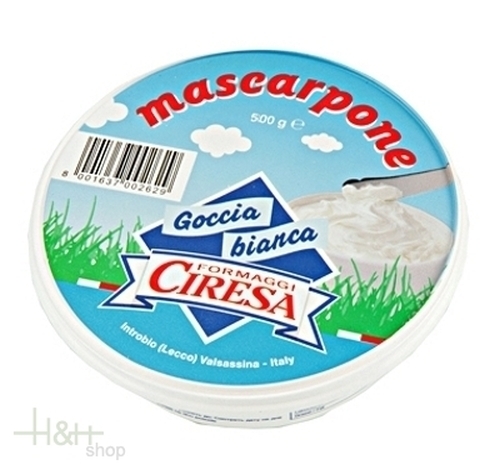 Buy now this product together with Losa Goat Cheese Beppino Occelli approx. 2,5 kg. Losa Goat Cheese Beppino Occelli approx. 2,5 kg. ready for shipment: in stock Losa Goat Cheese Beppino Occelli approx. 2,5 kg. Harmonious, sapid and aromatic fragrance. It is excellent as an aperitif, goes well with starters and particularly with delicately flavoured dishes, most of all fish based ones. Belly Bacon Steiner piece approx. 400 gr. Steiner is a specialist for typical products our mountain areas. Particularly for the tasty kitchen is suited the belly bacon, well passed through with fat, smoked with beechwood, air-dried about several weeks matured.